The tabs on the lock washer were not forming correctly, including their slight twist. The tabs were required to obtain the correct force and maintain the locking feature of the washer. This functional issue was causing continuous frustration and assembly delays. Work with Ultra’s die designers to modify the stamping die to meet the design intent of the part and its associated assembly. Ultra’s design team evaluated Honda’s current die and determined the tool’s design was incapable of being modified to meet the part print and recommended a new progressive die. A main concern with this approach was time, but a new die was needed if the features of the part print were to be obtained including adjustability of the tabs. Tab forms needed to be adjustable to accommodate normal variations in material. To handle the force requirement issue, Ultra designed and built a customized testing gage to measure the force the tabs were producing. During prototyping we were able to prove out cut/form sequence and meet the force requirements. 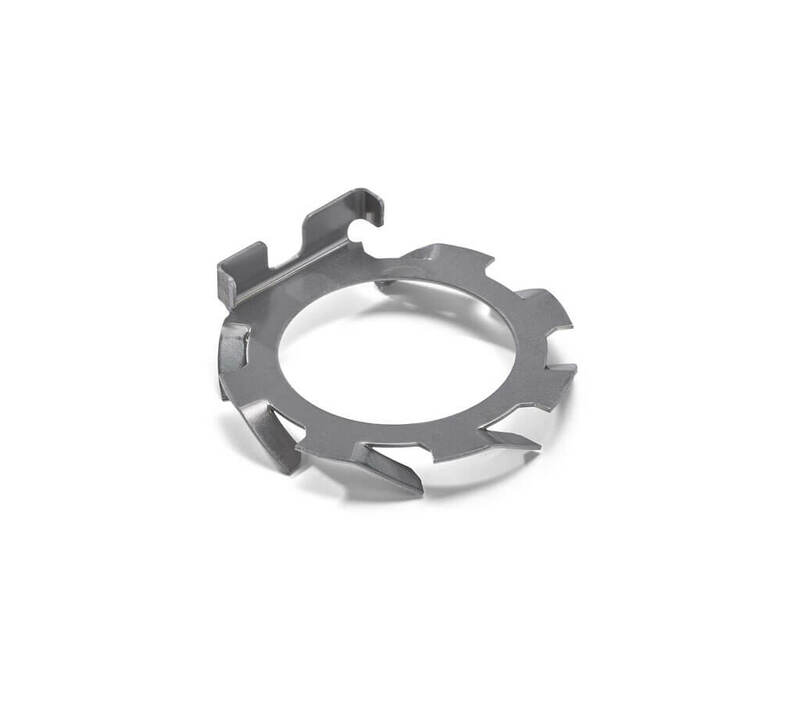 Consistently manufacture a lock washer that met the original design intent and was reliable in assembly. The newly designed die provided an uninterrupted production flow meeting delivery expectations.